Rejoice. Another public bridleway saved from closure. In 2008 the Lake District National Park Authority made an order to downgrade 1190 metres of Bridleway 206008 at Bassenthwaite to the status of public footpath. The Kendal Group of the Ramblers Association supported this attack on horse and bicycle access to the countryside, but the Byways and Bridleways Trust objected to the order on the ground that there is no good evidence that a mistake occurred when the ‘definitive map of public rights of way’ was surveyed and made, approaching sixty years ago now. At the time of the original survey and the ‘draft definitive map’ (1953) there was clearly some argument as to whether the route was a footpath, or a bridleway, but in the end it was recorded as a public bridleway. To overturn this recorded status in 2010 requires ‘cogent evidence’ that a mistake was made 57-years ago, and in her decision letter of 24 May, Inspector Susan Doran found that there was no such evidence. 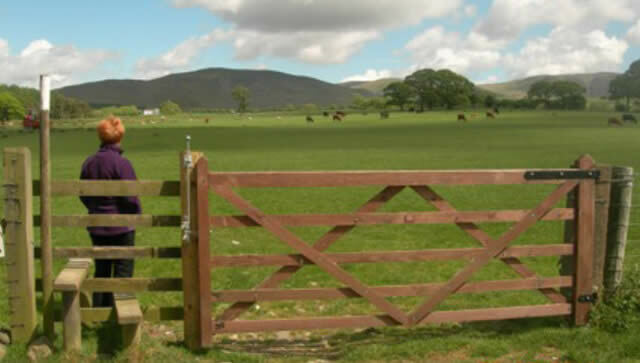 The stiles and fences currently obstructing bridleway 206008 (which runs eastwards from Bassenthwaite village to join Bridleway 206015 at High Close) will now have to be removed, or replaced by approved gates.